Hatters boss John Still has targeted another promotion before his tenure is over at Kenilworth Road. The 65-year-old completed his second full season with the club, with Hatters missing out on the play-offs by three points. 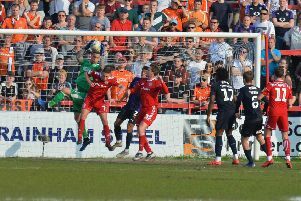 Although Luton didn’t make it back-to-back promotions this term, Still was afforded a fine ovation at full time on Saturday as he added: “The support has been amazing all season, on and off the pitch. “I look back at two years here, and the progress made is phenomenal. “The club has become united, there’s a belief in the town, belief on the pitch, and we just missed out this year, well, it’s okay, that’s football.